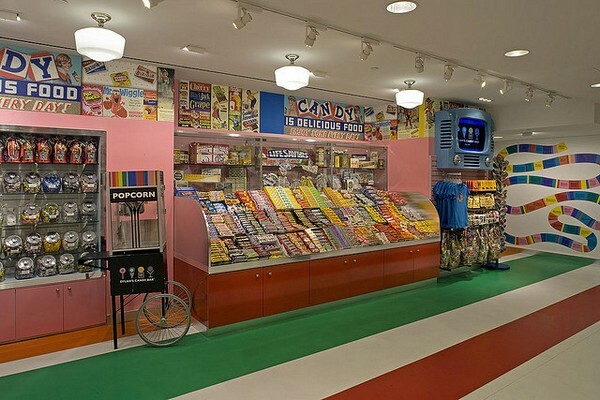 I challenge you not to hum Bow Wow Wow’s eighties classic as you browse through these delicious images of Dylan’s Candy Bar. 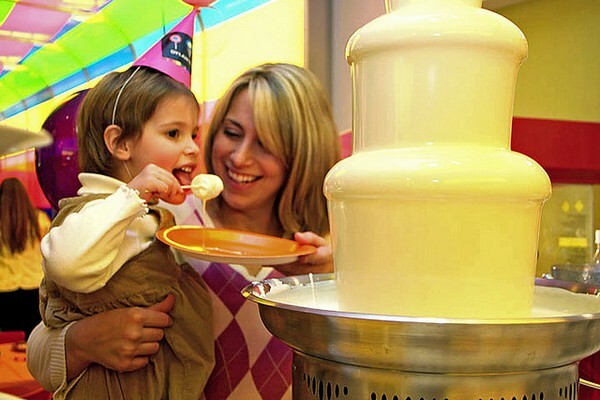 Dylan Lauren, the daughter of legendary fashion designer Ralph Lauren, turned her creative talents to all things sweet (as opposed to polo shirts). 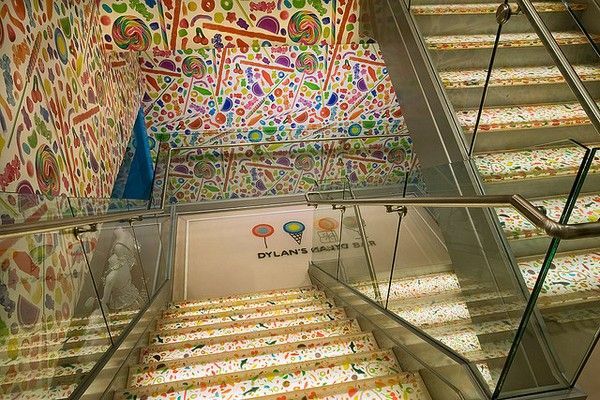 With a three level, 1390 metre square flagship store in New York and a number of other stores across the United States, Dylan’s Candy Bar is a Willy Wonka-inspired candy shrine. 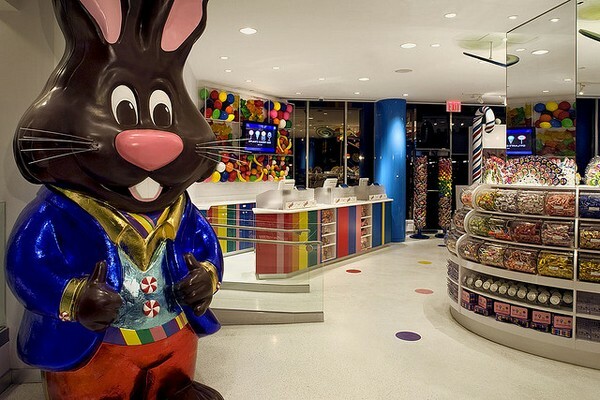 Stop by the New York store and see a three metre tall chocolate Easter rabbit, giant lollipop trees, staircases embedded with sweets, a bathtub filled with gumballs, gargantuan jellybeans, humbug bar stools and a private party room that is simply outstanding. 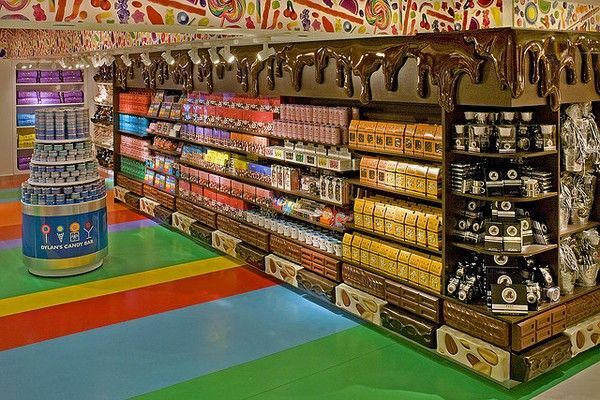 Apart from stocking her own brand of sweets, she has lots of other brands of lollies and chocolates on offer as well as candy-inspired merchandise from gumboots and jewellery to bath products and onesies. 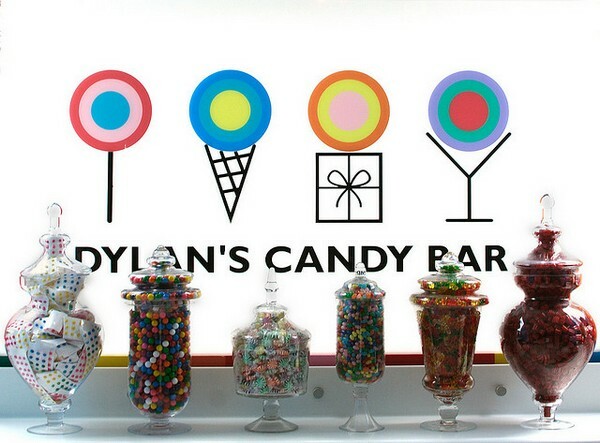 You can shop Dylan’s range online and they do ship internationally by arrangement however the real fun is paying a visit to Dylan’s Candy Bar. 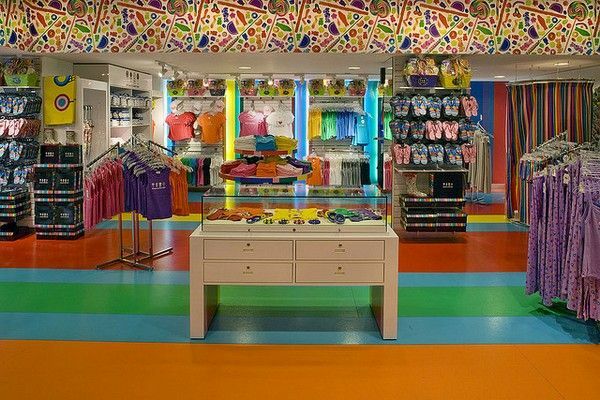 If you’re heading to the US, find store locations here. 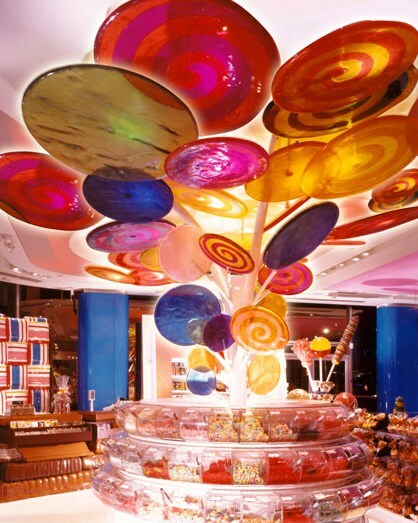 And if you still can’t get that Bow Wow Wow song out of your head, indulge with the film clip at the very bottom of the page.